San Antonio TMI - The Episcopal School of Texas - has a new softball field, complete with new field lighting, press box, bleacher seating, shade covers, three side masonry dugouts with metal roofs, backstop netting that offers spectators unobstructed views additional batting cages and a concession stand. TMI held a grand-opening ceremony for the new softball field to celebrate the new facility. The Rev. Nathan Bostian, TMI chaplain, delivered an invocation; Stephen Walker, executive chairman of the TMI Board of Governors, gave a brief welcome; and TMI Headmaster John W. Cooper, Ph.D., thanked parents, donors and vendors for their contributions toward making the new facilities possible. The ceremony was followed by a varsity game against San Antonio Christians Schools. The Rt. Rev. Gary R. Lillibridge, bishop of the Episcopal Diocese of West Texas, threw out the first pitch. TMI won the grand opening game, 21-7. TMI's new softball field is a wonderful addition to their campus that already has so many nice facilities. 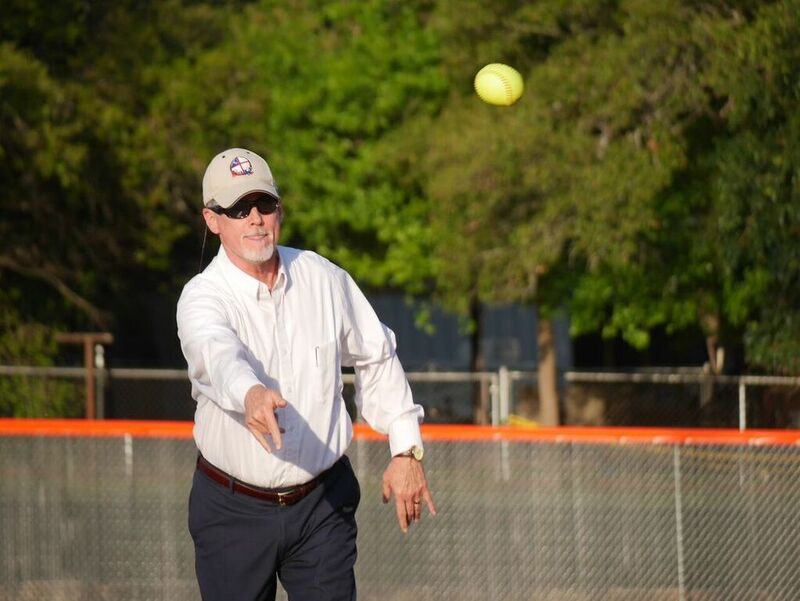 Thank you TMI for your continued trust in Texas Multi-Chem to build your new softball field and we hope your student athletes enjoy playing ball on this field for many years! Is it time to build a new baseball or softball field at your school? Contact TMC today at 1-800-292-1214 and let's start working together!